Steps to maintain a gorgeous complexion. If your skin tends to freak out when you try new products (see: it burns, itches, or gets red), that's a sign that it’s sensitive. And if you fall into this category, you’re part of a growing club. 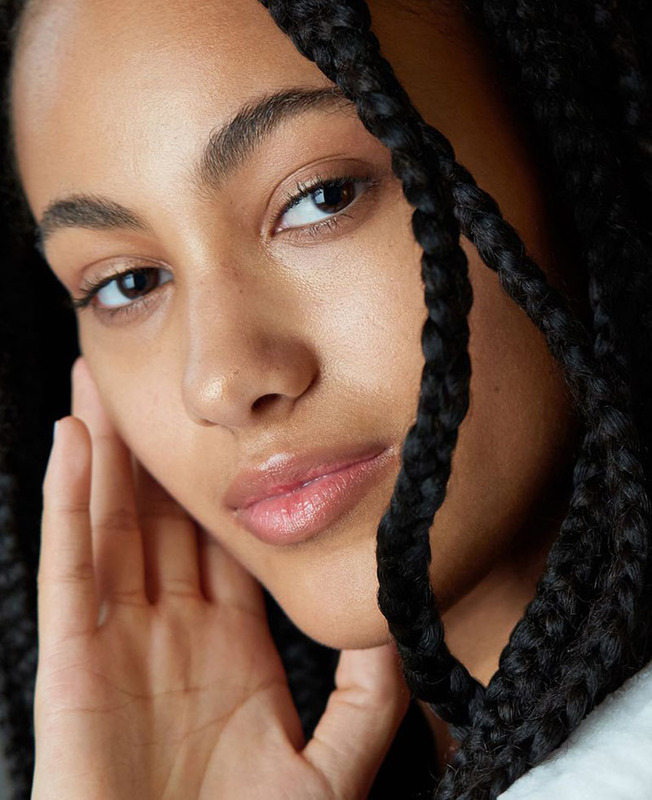 Stats have shown that more and more women label their skin as sensitive, and thus are paying closer attention to what kinds of products they slather on. 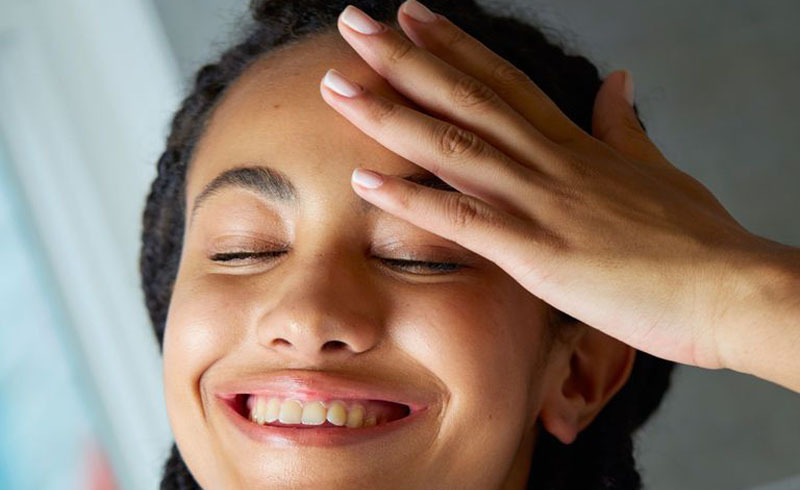 It’s true that what you put on your face matters, but to get the best results, you also gotta be consistent with your routine (yes, even when you’re freakin’ exhausted). The next time you’re tempted to hop into bed without giving your complexion the proper TLC, consider this: “We spend one third of our lives sleeping, so if you don’t take care of your skin at night, that’s a lost opportunity,” says dermatologist Vivian Shi, an assistant professor at the University of Arizona. Luckily, “care” doesn’t mean an elaborate, multi-step regimen. Here’s the easy P.M. process that’ll give you amazing results. 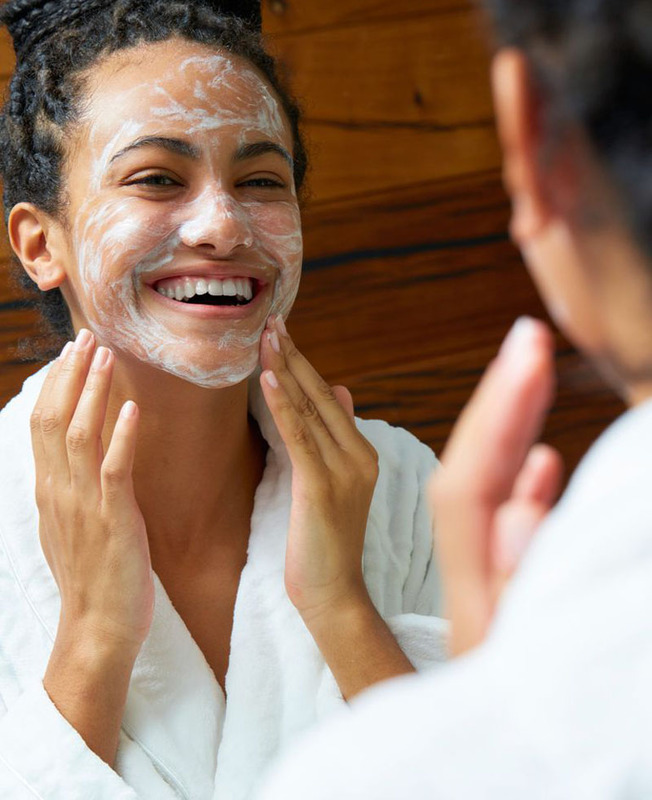 A soap-free lotion or cream cleanser is the best option for keeping sensitive skin happy. “Creamy cleansers don’t bubble up, so they won’t strip the oil from your skin,” says Dr. Shi. Bonus: Rich textures feel so luxe while you’re massaging them in. Try a soothing formula that doesn’t contain any harsh irritants, like Burt’s Bees Sensitive Facial Cleanser. It’s made with skin-softening cotton extract and gets rid of makeup and dirt without that tight, uncomfortable effect that sudsy face washes can produce. Unlike mornings, which can be frantic, there’s no need to rush at night. Take your time while rubbing the cleanser into your skin, making sure to cover your whole face. “Start with the forehead and work your way down, then splash and rinse well until there’s no residue,” says Dr. Shi. Or, pretend that your bathroom is a spa and press a warm, damp washcloth against your face. Let the cleanser dissolve for a few seconds, then gently whisk it away. The eye contour area is the thinnest and the most fragile skin on your face, so you need a nourishing eye cream to moisturize and protect it. “I definitely recommend using one, especially for sensitive skin types, which are often drier and more prone to allergen entry to begin with,” says Dr. Shi. Go with a lightweight, hypoallergenic option like Burt’s Bees Sensitive Eye Cream, which helps to shield the eye area from potential irritants (another great benefit of the cotton extract). Contrary to popular belief, “Eye products should be applied before you put moisturizer on the rest of your face,” says Dr. Shi. Dabbing on eye treatments first allows them to penetrate more effectively. Pat your cream all around your contours with your ring finger (it applies the least amount of pressure) until it’s fully melted into your skin. 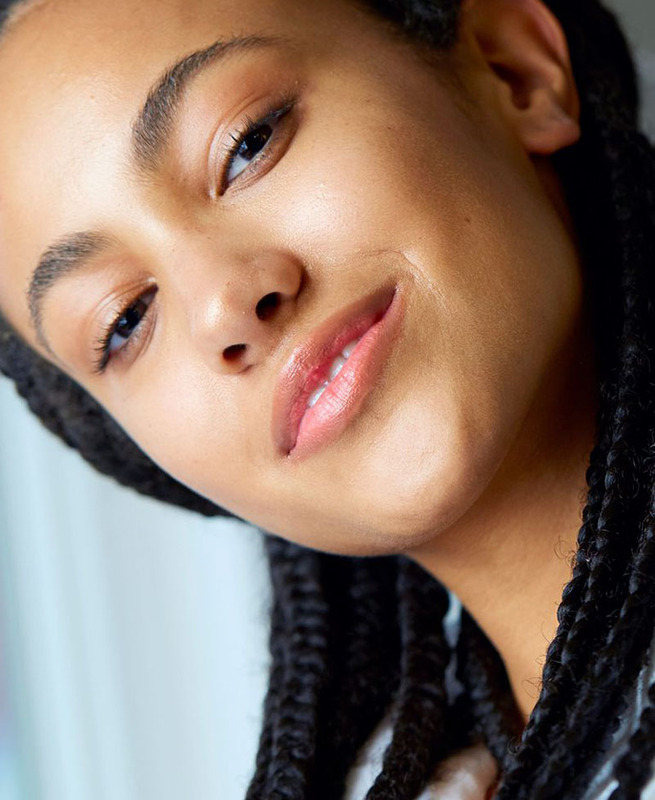 One good reason to use a heavier moisturizer in the evening: “Skin is the most vulnerable at night when the barrier function is the least effective. It doesn’t have the same defense mechanisms as we do during day, so it needs extra protection,” says Dr. Shi. 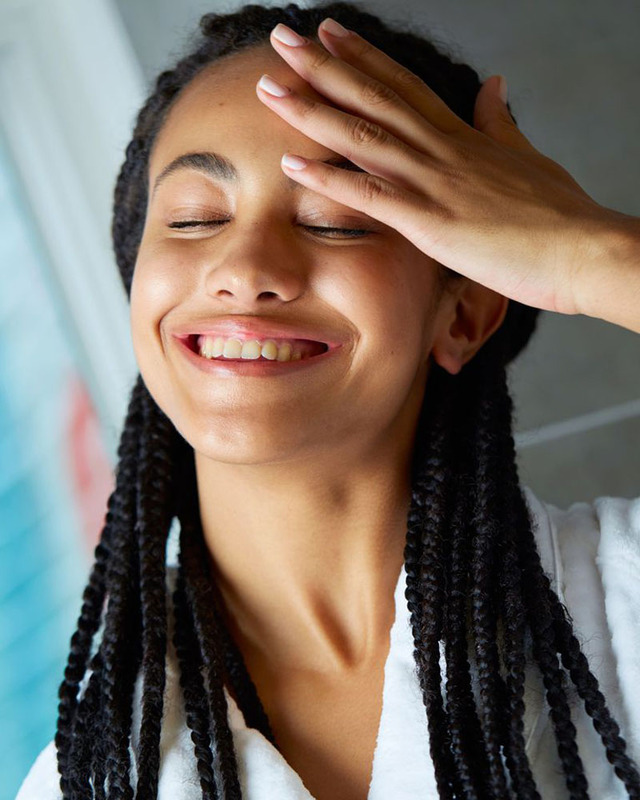 She suggests scanning labels for soothing ingredients like rice extract and moisturizing natural oils that can also help with issues specific to sensitive skin. Try a deeply hydrating formula like Burt’s Bees Sensitive Night Cream, made with aloe and sunflower seed oil, which have anti-inflammatory properties. “People who have sensitive skin can experience airborne contact dermatitis, meaning you get an allergy or skin inflammation not from something that you directly applied, but from what’s in the air," says Dr. Shi. The solution is simple: Sleep with an air filter in your bedroom to zap dust particles. Dr. Shi also suggests keeping your windows shut. “Who knows what’s coming in at night, especially if you live in a polluted region of the world,” she explains. Follow her advice and you’re sure to rest easy—and wake up with great skin.